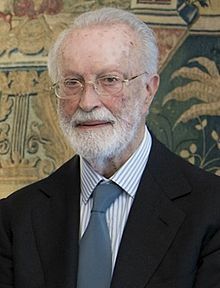 Eugenio Scalfari is a renowned journalist and intellectual leader in Italy. He is a former newspaper editor, a newspaper founder, and former parliamentarian. He also founded a political party in Italy. Scalfari is not a conspiracy theorist or kook. He is a respectable Italian leader, and he is convinced that the Pope has abolished Heaven, Hell and Purgatory. Scalfari says that the Pope has basically turned these three destinations of the soul into little more than a “pretext for splendid paintings in the history of art.” Scalfari has made these claims by carefully observing and cataloging the public words of the Pope. For example, on October 11 in Saint Peter’s Square, Francis said that eternal judgment is not to be feared because “at the end of our history there is the merciful Jesus…everything will be saved. Everything.”In the manuscript given to the journalists accredited to the Holy See, the word, “everything,” was typed in bold. God does not avenge Himself? Really? Deuteronomy 32:35 and Romans 12:19 beg to differ. Of course, God does avenge Himself and he avenges His people. It is becoming increasingly clear that Pope Francis does not view God as being capable of judgment, let alone eternal judgment. The first indication that Pope Francis was a universalist was back in 2013, when he said that even non-Catholics and atheists were redeemed by Jesus (link). At the time of his controversial comments, Roman Catholics defended Francis as being misunderstood. It is becoming increasingly untenable to pass off Francis’ ongoing comments as merely misunderstood. For Scalfari and those in Italy more familiar with Francis’ daily homilies, there is a pattern developing that seems to deny the consequence of eternal judgment.